With the New England weather finally (hopefully) cooperating, it’s time to start choosing when, where, and how often you should pack up your picnic blanket and catch a great movie outdoors. 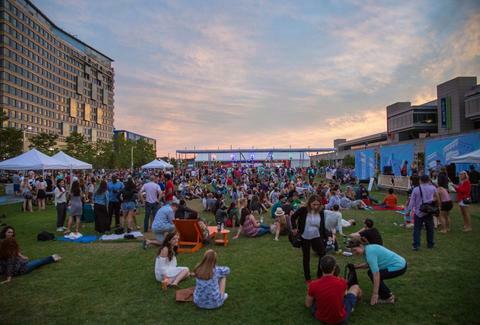 To help, we’ve put together this master calendar of every al fresco Boston screening under the sun and stars this summer. On Golden Pond Bring your parents and/or tissues to this classic tearjerker. On Golden Pond Boston Harbor Hotel, Waterfront Bring your parents and/or tissues to this classic tearjerker. Moonstruck One of Cher’s greatest acting roles (and one of Nicolas Cage’s last great ones). Moonstruck Boston Harbor Hotel, Waterfront One of Cher’s greatest acting roles (and one of Nicolas Cage’s last great ones). Secret Life of Pets Yes, they misbehave in your absence. Secret Life of Pets Hatch Memorial Shell, Charles River Yes, they misbehave in your absence. Nine Lives Do you think Kevin Spacey and Bill Murray ever get together and talk about the times they voiced cartoon cats? Nine Lives Kelly’s Roast Beef, Revere Do you think Kevin Spacey and Bill Murray ever get together and talk about the times they voiced cartoon cats? Notting Hill Hugh Grant, Julia Roberts, and a charming London neighborhood you could never afford to live in. Notting Hill Boston Harbor Hotel, Waterfront Hugh Grant, Julia Roberts, and a charming London neighborhood you could never afford to live in. 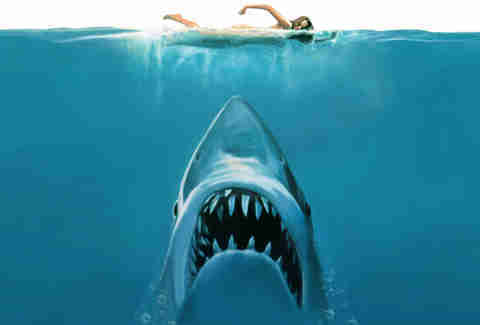 Jaws Watch New England get terrorized by the iconic shark at this Narragansett-sponsored screening. Jaws Lawn on D, South Boston Watch New England get terrorized by the iconic shark at this Narragansett-sponsored screening. Captain America Chris Evans’ transformation from 99-pound weakling to buff crime-fighter is simply Marvel-ous (sorry). Captain America Boston Harbor Hotel, Waterfront Chris Evans’ transformation from 99-pound weakling to buff crime-fighter is simply Marvel-ous (sorry). Secret Life of Pets Those pets, man. Secret Life of Pets Sylvester Baxter Riverfront Park, Assembly Row Those pets, man. Zookeeper Guess what Kevin James’ character plays in this one. Zookeeper Hingham Shipyard Guess what Kevin James’ character plays in this one. Secret Life of Pets While the owners are away, the dogs, cats, and mice will play. Secret Life of Pets Kelly’s Roast Beef, Revere While the owners are away, the dogs, cats, and mice will play. The Notebook Predicted female-to-male ratio: 100,000 to one. The Notebook Boston Harbor Hotel, Waterfront Predicted female-to-male ratio: 100,000 to one. Sing One more time for the koalas in the back. Sing Hatch Memorial Shell, Charles River One more time for the koalas in the back. Sing And another opportunity to see this animated hit. Sing Hingham Shipyard And another opportunity to see this animated hit. Cheaper by the Dozen A bunch of children and a working mother. Hapless father hijinks ensue. Cheaper by the Dozen Boston Harbor Hotel, Waterfront A bunch of children and a working mother. Hapless father hijinks ensue. The Jungle Book Retreating to the jungle away from mankind sounds pretty good right about now. The Jungle Book Hatch Memorial Shell, Charles River Retreating to the jungle away from mankind sounds pretty good right about now. The Jungle Book Also, Mowgli and Baloo have the best bromance ever. The Jungle Book Sylvester Baxter Riverfront Park, Assembly Row Also, Mowgli and Baloo have the best bromance ever. 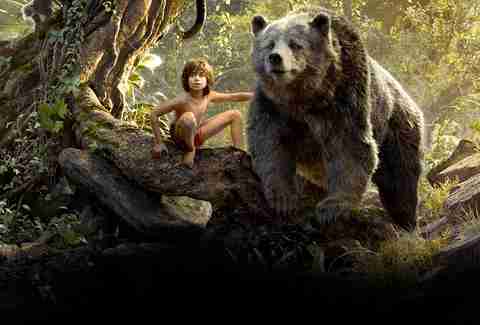 The Jungle Book Did you know Jon Favreau directed this one? The Jungle Book Kelly’s Roast Beef, Revere Did you know Jon Favreau directed this one? Little Mermaid Yes, its feminist bona fides are suspect at best, but you have to love the soundtrack. Little Mermaid Boston Harbor Hotel, Waterfront Yes, its feminist bona fides are suspect at best, but you have to love the soundtrack. Finding Dory It’s like a proactive Waiting for Godot. Finding Dory Hatch Memorial Shell, Charles River It’s like a proactive Waiting for Godot. Wreck-It Ralph For everyone nostalgic about arcade games. Wreck-It Ralph Kelly’s Roast Beef, Revere For everyone nostalgic about arcade games. Tootsie A classic that only gets better with age. Tootsie Boston Harbor Hotel, Waterfront A classic that only gets better with age. Moana For what it’s worth, it’s our niece’s favorite movie of 2017 (so far). Moana Hatch Memorial Shell, Charles River For what it’s worth, it’s our niece’s favorite movie of 2017 (so far). Moana Sylvester Baxter Riverfront Park, Assembly Row Back-to-back viewings! Toy Story 3 Have a few laughs while being totally depressed about your favorite childhood toys. Toy Story 3 Hingham Shipyard Have a few laughs while being totally depressed about your favorite childhood toys. Wall-E It makes us cry, every time. Wall-E Hunt/Almont Park, Mattapan It makes us cry, every time. Shaun the Sheep From the geniuses behind Wallace and Gromit. Shaun the Sheep Town Field, Dorchester From the geniuses behind Wallace and Gromit. Little Giants A throwback guilty pleasure with Rick Moranis, Ed O’Neill, and John Madden. Little Giants William G. Reinstein Bandstand, Revere A throwback guilty pleasure with Rick Moranis, Ed O’Neill, and John Madden. Casablanca Here’s looking at you, waterfront. Casablanca Boston Harbor Hotel, Waterfront Here’s looking at you, waterfront. Lego Batman Movie Lego Will Arnett can do no wrong. Lego Batman Movie Hatch Memorial Shell, Charles River Lego Will Arnett can do no wrong. Lego Batman Movie We repeat: Lego Will Arnett can do no wrong. Lego Batman Movie Sylvester Baxter Riverfront Park, Assembly Row We repeat: Lego Will Arnett can do no wrong. Jungle Book (2016) And update on the cartoon version, but just as charming. Jungle Book (2016) Boston Harbor Hotel, Waterfront And update on the cartoon version, but just as charming. Doctor Strange Benedict Cumberbatch stars as the titular weirdo MD. Doctor Strange Sylvester Baxter Riverfront Park, Assembly Row Benedict Cumberbatch stars as the titular weirdo MD. Star Wars: Rogue One Gritty and totally awesome. Star Wars: Rogue One Hatch Memorial Shell, Charles River Gritty and totally awesome. My Big Fat Greek Wedding As light and pleasurable as a loukoumade. My Big Fat Greek Wedding Boston Harbor Hotel, Waterfront As light and pleasurable as a loukoumade. Star Wars: Rogue One Stick around for the amazing cameo at the end. Star Wars: Rogue One Sylvester Baxter Riverfront Park, Assembly Row Stick around for the amazing cameo at the end. Fever Pitch Hopefully the Red Sox will be in the midst of a pennant race, or else this will just be depressing. Fever Pitch Boston Harbor Hotel, Waterfront Hopefully the Red Sox will be in the midst of a pennant race, or else this will just be depressing. Honey, I Shrunk the Kids The ant is still terrifying. Honey, I Shrunk the Kids Frog Pond, Boston Common The ant is still terrifying. 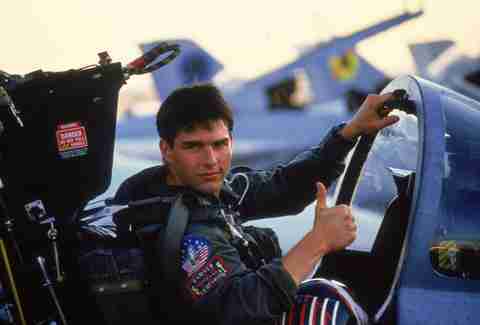 Top Gun Catch up with Maverick, Iceman, and the gang before the sequel comes out. Top Gun Frog Pond, Boston Common Catch up with Maverick, Iceman, and the gang before the sequel comes out. Meaghan Agnew is a writer in Boston. Find her opinions about animated movies on Twitter and Instagram at @meaghandeth.